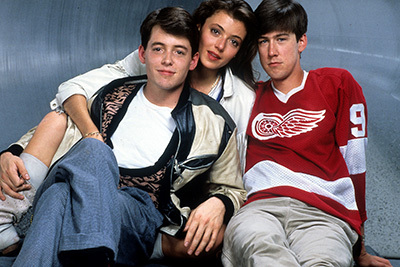 In this 1986 comedy starring Matthew Broderick, underachieving high school student Ferris Bueller devises an elaborate plan to cut school for a day. With his principal hell bent on catching him, Ferris enlists his two best friends for help along the way. After their power hungry principal (Paul Gleason) assigns them weekend detention, five teens from very different social circles are forced to spend a day together. In this 1985 feature, a nerd (Anthony Michael Hall), a popular girl (Molly Ringwald), a rebel (Judd Nelson), a jock (Emilio Estevez) and a basket case (Ally Sheedy) learn they have more in common than they thought.